I typically don't think of a sundae containing any kind of fruit, except for possibly a cherry on top. I also have trouble picturing a sundae as anything other than loads of hot fudge, caramel, and whipped cream. But that's where this healthy, luscious recipe comes in and changes all that...behold a light, refreshing, summery dessert that's easy to make and surprisingly decadent. And did I mention how easy it is? This recipe is really just making the syrup that tops the ice cream, so you can have everything ready in probably under five minutes. The sauce itself is divine: sugar, lime juice, butter, and lime zest. 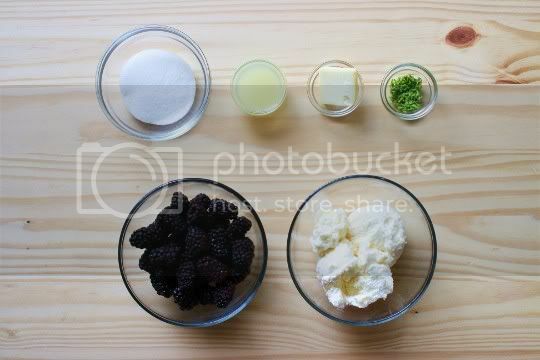 Simmer it all together on the stove until the sugar is dissolved, toss the blackberries in it, and serve over ice cream. That's it, easy! A few notes. The recipe suggests adding the lime zest after the syrup is cooked, but I think you could also include it at the beginning. In fact, this may bring even more of the lime flavor out as the oils in the zest are released during cooking. Next, when you get ready to toss the syrup with the blackberries, you'll notice a change: it goes from super thin and liquidy to thick, sticky, and goopy. But it coats the blackberries like a lime hot fudge, making them almost candy-like (in fact, I ate the remaining berries and syrup sans ice cream as a dessert the next day!). Finally, this recipe can be easily made vegan by subbing the butter and ice cream choice. For this dessert to be so simple, it's so amazingly good. The syrup is sweet and tangy, and the butter adds a decadent richness that seems out of place, but it works so well. 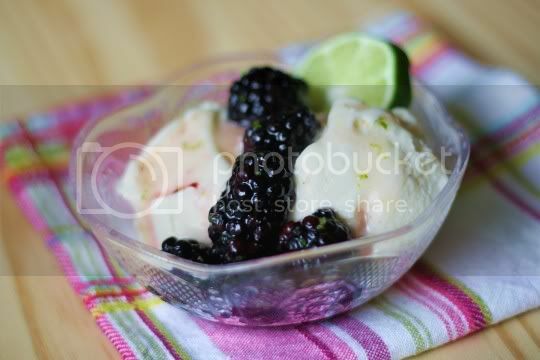 The tangy blackberries and lime are a perfect contrast to the sweet, creamy vanilla, and the lime zest brings an unexpected pungence. What I really like about this dessert is its versatility. First of all, you could easily serve this over anything: yogurt, pancakes, oatmeal, cottage cheese, etc. Secondly, think about what you could get if you subbed out the blackberries with blueberries or raspberries, or if you swapped the lime for lemon, orange, or even grapefruit. OMG, the possibilities! Make again? Definitely. 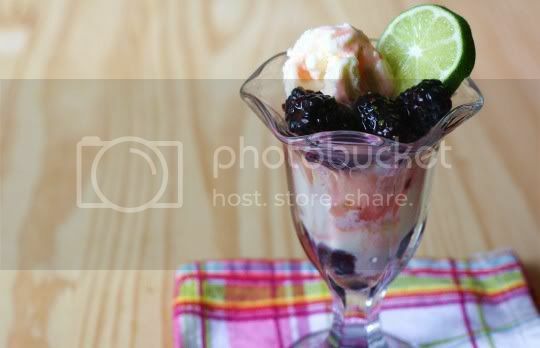 It's a great refreshing summer dessert...with the potential for sparking even more creativity! Vegan variation: Use non-dairy butter and ice cream.